Very few Hamilton models had production runs of five years or longer. One of the longest running models was the 1939 Brock. It was produced through 1952 and maybe even two more years if you consider it's 10K replacement - the Brockton. 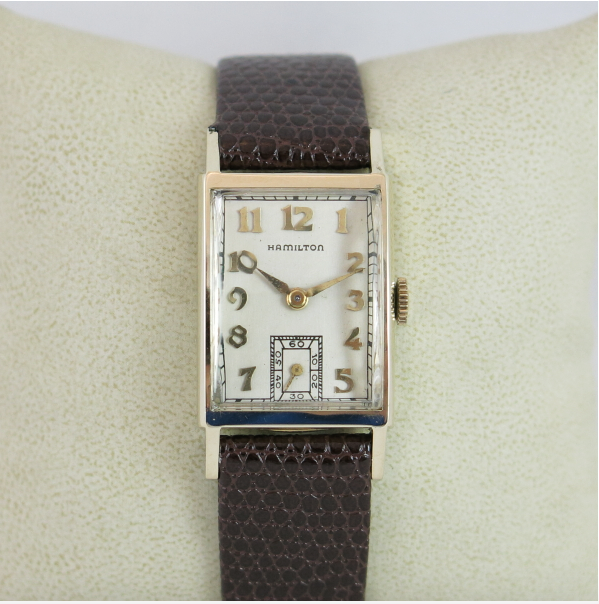 The Brock is also one of the few models that Hamilton did a coral gold version of in 1940. It's known as the Coral Brock and I did a post on that last February. The Brock comes in a 14K solid gold case and you'll find it with either an AGN dial or, less frequently, with a two-tone black and gilt dial. From a movement standpoint you will find a 19 jewel 982 movement in the 1939 version and after that you will find a 19 jewel 982M. 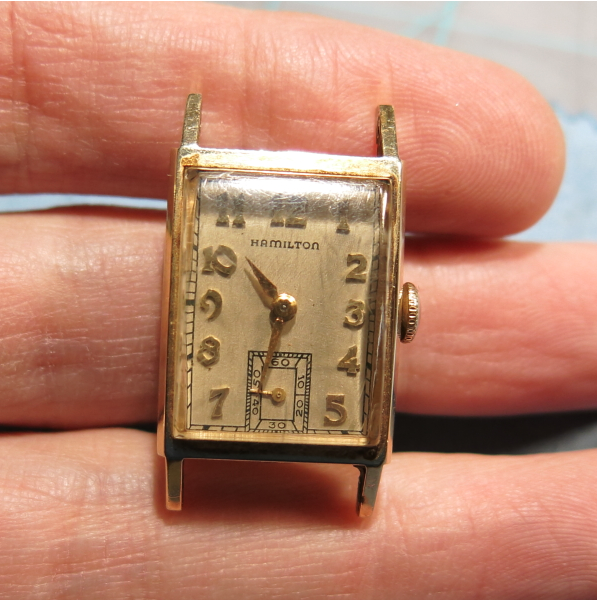 The 982M Medallion movement was introduced in 1940 for all the solid gold watches that used a 14/0 size movement. 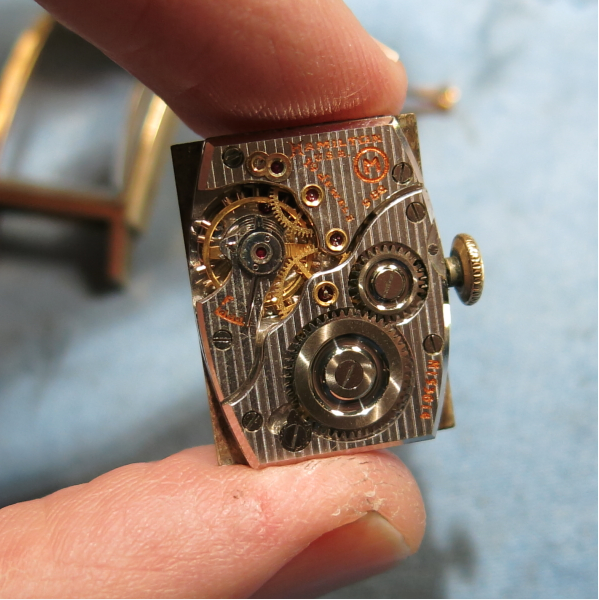 I recently scored a Brock and, based on the serial number of the movement, it is a 1950 model. I was able to snag the watch for a very good price because the seller listed it as a ladies watch in need of a battery. The Brock is quite small by today's standards and would make a very nice ladies watch today. The seller's photos even made it look like a ladies watch - and even though I wasn't entirely positive, I was pretty sure it wasn't a ladies watch because only the men's watches have sub-second hands. As received it was very dirty but a few turns of the crown showed that a "fresh battery" was not going to be needed. With the bezel removed you can see that the dial is in very nice shape. Think it is original? Nope - it's a very nice refinish. 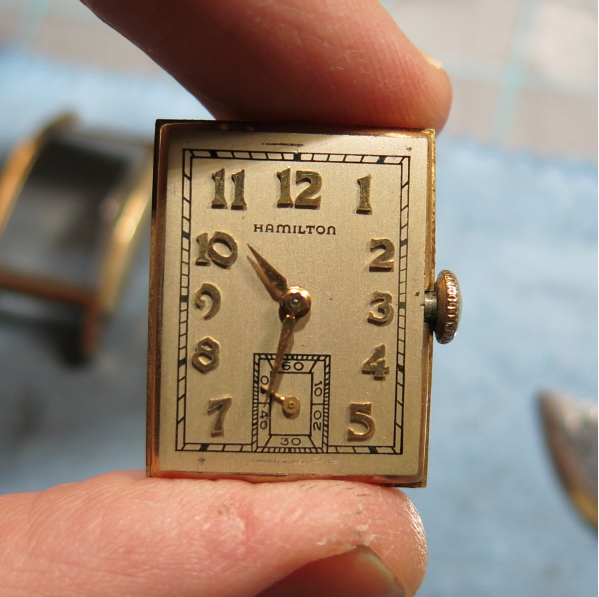 One of the obvious signs in the little notch in between the 3 and the crown - see it, right on the edge of the dial? The 982M from this era is highly damascened with a gold, almost orange, enamel in the engravings. Personally, I like the older 982M's with the actual medallion instead of the "circled M" on the later models. 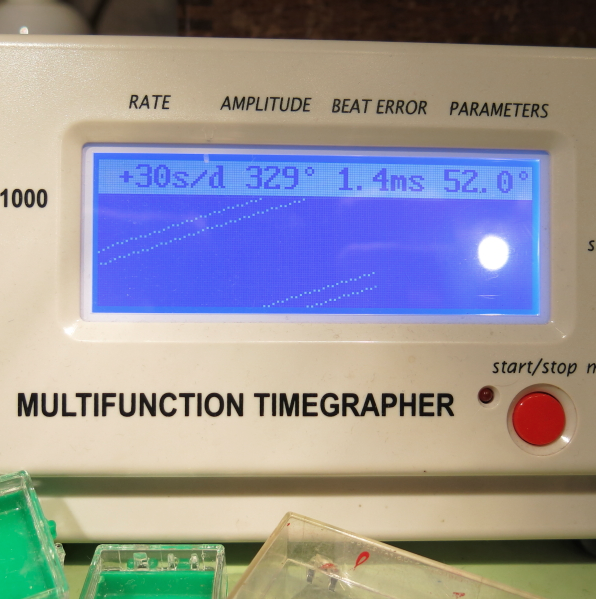 Well, a thorough cleaning and fresh mainspring bring the watch back to vigorous life as you can see below on my timer. A little tweaking to the regulator will slow it down a smidge. And here's the finished product, all polished up with a new genuine lizard strap. The acrylic crystal has a couple of cracks in the corners so I'll replace it. My better half didn't get anything sparkly for Christmas this year so this might be a perfect "get out of the dog house free" card. I think I'll look for a nice 16mm short strap in addition to a new crystal. I have a brock and I want to replace the watchband what are the measurements that I need at the lugs? It too had a ladies band on it when I bought it. Beautiful watch.